Land Transaction Tax will be the first Welsh tax in almost 800 years. Practitioners may have to be ready to advise on variants of land tax in Scotland, Wales and the rest of the UK. Much of the legislation across these taxes is very similar, but there are differences and traps for the unwary. A new land tax is about to be introduced, explains Donald Drysdale, and it may create fresh challenges for practitioners. Fiscal devolution from London to Cardiff is gathering speed. Just over two years ago the Wales Act 2014 was enacted by the UK Parliament at Westminster to provide for the devolution of certain tax powers to the National Assembly for Wales. This gave the Welsh Assembly the necessary legislative competence to introduce new devolved taxes on land transactions and on waste disposals to landfill. It also paved the way for the Assembly to set Welsh rates of income tax to be levied on the non-savings non-dividend income of Welsh taxpayers from a date still to be appointed, and it established new limits for borrowing by Welsh Ministers. The Tax Collection and Management (Wales) Act 2016 sets out the legal framework for the collection and management of taxes fully devolved to the Assembly, and creates the Welsh Revenue Authority (WRA) as the administrative body responsible for doing so. The WRA is to be established by autumn 2017 and will be fully operational by April 2018. Land Transaction Tax (LTT) and Landfill Disposals Tax (LDT) will be fully devolved taxes, replacing Stamp Duty Land Tax (SDLT) and Landfill Tax (LfT) in Wales – prospectively from 1 April 2018. Income tax will be partly devolved – with the Welsh rates of income tax to be set by the Assembly, but income tax remaining a UK-wide tax administered by HMRC. The Land Transaction and Anti-avoidance of Devolved Taxes (Wales) Bill was laid before the Welsh Assembly in September 2016. A research briefing published by the Welsh Government earlier this month contains useful information on the Bill. LTT will be the first Welsh tax in almost 800 years. Like SDLT to date, it will be payable by purchasers or lessors of buildings or land in Wales, subject to certain exemptions and reliefs. It will affect house buyers and businesses, including builders and property developers. The Welsh Government intends that the new LTT regime should broadly replicate SDLT processes and systems, unless there are reasons to change existing provisions to improve efficiency, effectiveness or focus on Welsh needs and priorities. The tax will adopt a progressive marginal rate structure similar to that now used for SDLT, and the rates will be set through secondary legislation. LTT exemptions and reliefs will broadly replicate those which exist for SDLT and (in Scotland) Land and Buildings Transaction Tax (LBTT). A striking feature, however, is that in Wales the amounts of tax relieved are expected to be very small. For example, in 2014/15 there were only 73 SDLT claims for group relief in Wales, involving a total tax value of £0.6m, and only 130 claims for multiple dwellings relief, totalling £0.1m. A higher rate of LTT will apply to additional residential properties, as under the differing rules for SDLT and LBTT, but the draft legislation for this has not yet been published. An SDLT return must be lodged and the tax paid within 30 days of the effective date of the transaction. In the case of LTT, it won’t be possible to register title without a ‘WRA certificate’ confirming that a return has been lodged. For LBTT the requirement is more demanding: an application to register title need not be accepted unless the return has been filed and satisfactory arrangements have been made for payment of the tax. Scotland’s border with England is sparsely-populated. By contrast the Welsh Marches adjoin the conurbations of Chester, Hereford and Shrewsbury and include centres such as Hay-on-Wye, Leominster, Ludlow, Monmouth, Montgomery, Newtown, Oswestry, Presteigne, Welshpool and Wrexham. The Welsh border even cuts across communities. For example, it separates the town of Knighton from its railway station, and divides the village of Llanymynech where a former public house, the Lion, had bars in both countries. 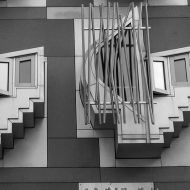 Unlike the Scots, who have a separate legal jurisdiction and their own Land Register in Edinburgh, the English and Welsh share a common legal system and their single Land Registry records the ownership of land and property in England and Wales. Hitherto there has been no particular need to refer to the English-Welsh border on title deeds and related maps, and many documents that might have done so simply don’t. Where a single transaction involves property straddling that border, this would have been (until now) a single transaction in property law. In future there will be a need to record it as two separate transactions – one in England subject to SDLT, and the other in Wales subject to LTT. These will require separate tax returns and extra administrative costs – including separate valuations, self-assessments, compliance enquiries etc. The Landfill Disposals Tax (Wales) Bill was laid before the Assembly in November 2016. It provides for LDT to replace LfT in Wales. Like LfT, LDT will be a tax on disposals of waste to landfill and will be charged by weight. As in Scotland, the new tax will also be levied on unauthorised disposals of waste. The Bill differs from the existing LfT legislation. The Welsh Government claims that it sets out coherent, logical, up-to-date provisions which reflect existing landfill practices in the context of Welsh circumstances and needs. Nonetheless, it is likely that the LDT rates will remain close to those of LfT to discourage cross-border waste disposal. The Land Transaction and Anti-avoidance of Devolved Taxes (Wales) Bill proposes to introduce a ‘general anti-avoidance rule’ (GAAR) designed to combat unacceptable avoidance of any fully devolved Welsh taxes. Like the equivalent GAAR in Scotland, this differs from the ‘general anti-abuse rule’ (GAAR) introduced by Finance Act 2013 for UK tax purposes. The Welsh and Scottish GAARs aim to be wider than the UK GAAR in their application. Fiscal devolution has been demanded by the electorate and is being delivered by politicians eager to please. 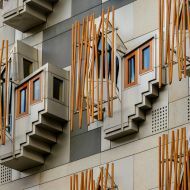 Further transfers of tax powers from Westminster to the devolved administrations seem inevitable, regardless of the extra administrative costs these will impose on governments, tax authorities and taxpayers. Caught in the middle are practitioners – beset by the complexity of taxes but often able to see each new wrinkle as an opportunity to provide further services. Until recently, accountants, solicitors and conveyancers advising clients on land transactions across the UK were able to concentrate on SDLT. Now they may have to be ready to advise on LBTT as well, and LTT is about to be added to the list. Furthermore, they need to be aware of the differing GAARs which may apply. This is not a trivial matter. The SDLT provisions, originally introduced by Finance Act 2003, are far from straightforward; over and above the general scheme of the tax and a range of exemptions and reliefs, they address particular issues such as the grant, variation, assignment and surrender of leases, and the treatment of partnerships. LBTT is similar to SDLT in many respects but with differences to trap the unwary, and is governed by different legislation. LTT will add a third variant, with separate and seemingly longer legislation.